Iran Briefing | News Press Focus on Human Rights Violation by IRGC, Iran Human Rights – نقض حقوق بشر توسط سپاه پاسداران She defends the downtrodden. So Iran put her in jail. She defends the downtrodden. So Iran put her in jail. Jun 22, 2018 adminbass Arrests, Human Rights, Slider Comments Off on She defends the downtrodden. So Iran put her in jail. WHEN HASSAN ROUHANI ran for president of Iran in 2013, he campaigned on the promise of promoting human rights and individual freedoms in a country that retained a strong authoritarian bent. Five years after his election, it is becoming clear that Mr. Rouhani has failed to deliver on these promises. Last week’s arrest of prominent human rights lawyer Nasrin Sotoudeh is a telling reminder that the regime’s repressive tactics remain largely unchanged. Ms. Sotoudeh is no stranger to arbitrary arrest. Her staunch defense of political dissidents — including Nobel Peace Prize winner Shirin Ebadi — has long made her a target for Iranian security forces. She was arrested in 2010 on an absurd charge of threatening to overthrow the government. She served three years in Evin Prison, some of that time in solitary confinement, but was pardoned in 2013 when Mr. Rouhani released a number of political prisoners as a goodwill gesture before attending his first U.N. General Assembly. Now, she has been taken to Evin Prison again, reportedly to serve a five-year sentence on national security charges. 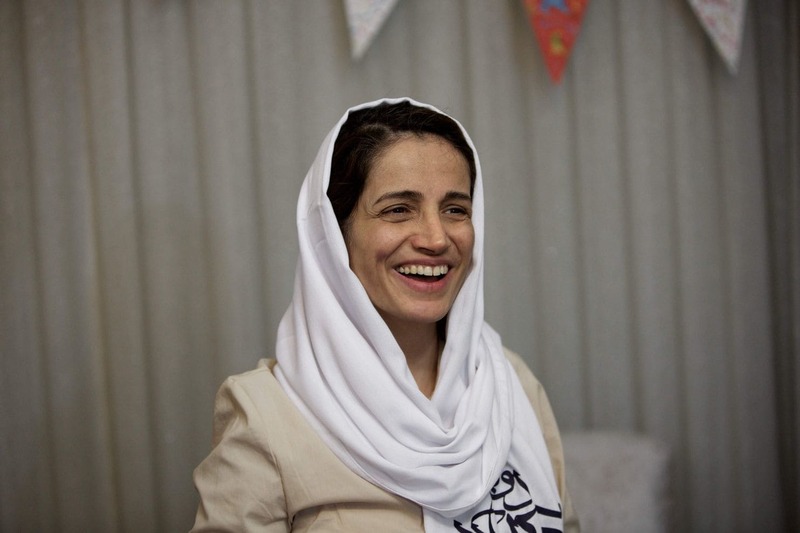 Ms. Sotoudeh’s arrest raises questions about due process and the rule of law. Her husband, Reza Khandan, told reporters that Iranian security forces arrived to take her to prison with no warning. They informed the couple that she had been tried and convicted in absentia, even though they had not previously announced either the conviction or the sentence. Human rightswatchdogs have speculated that her arrest was motivated by her advocacy on behalf of women who protested the country’s strict veiling rules this year. Ms. Sotoudeh has also been an outspoken critic of the judiciary’s decision to allow only a small, preapproved list of lawyers to represent those charged with national security crimes. Just this month, she announced plans to hold a sit-in against the policy. According to her husband, she intends to continue her activism from prison, where she has refused to hire a defense lawyer from the shortlist and may remove her headscarf in solidarity with the hijab protesters. Ms. Sotoudeh’s imprisonment is a flagrant abuse of power — one that has become all too common in Iran. Authorities continue to crack down on dissidents and human rights defenders after demonstrations on unemployment and women’s repression swept through the country this year. Despite a number of high-profile arrests, including that of Mr. Rouhani’s brother in 2017, the Rouhani government appears unable or unwilling to speak out against the Revolutionary Guard Corps or the country’s hard-line judiciary. This has created a chilling atmosphere for political dissenters across the country. The State Department has issued a statement calling for Ms. Sotoudeh’s freedom, as have politicians from the European Union, which presented her with the prestigious Sakharov Prize in 2012. Other nations should continue to pressure Iran for her immediate and unconditional release. She has dedicated her career to defending the unjustly persecuted. It is dismaying to see her on the receiving end of the same treatment. Source: The Washington Post – She defends the downtrodden. So Iran put her in jail.